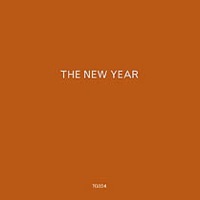 The New Year by The New Year (MySpace) opens with a lengthy, melancholy, minimal guitar strum. Somewhere toward the midpoint an organ chimes in softly. Then the momentum begins to build as the two-thirds mark nears; it is here we finally hear vocals on opening track “Folio”, but damnit, the wait was well worth it. “Folio” bows out for the first single, “The Company I Get”, a piano heavy waltz that’s both dreamy and depressing, yet melodically beautiful at the same time. I’m surprised at how gripping the song is—upon first listen to The New Year, I wasn’t all that impressed. But, then again, some of my favorite albums of all time have begun in exactly the same fashion—The New Year, then, is a patient grower. “Seven Days And Seven Nights” is another beautiful tune. Here, The New Year does what they do on many tracks—they have an instrumental breakdown somewhere in the duration of the song. These breakdowns tend to feature piano and an acoustic guitar, but sometimes they add in a little more, like some feedback or (in this case) a beeping dial tone. Of course, not all songs have such breakdowns; they’re missing in “My Neighborhood”. In a way, you want to classify it as bedroom pop, but it’s not always that soft. But nor is it poppy enough to truly live up to the indie-pop title, or folky enough to be folk. And there are too many quiet moments for the rock moniker to fit. It’s somewhere in the middle of it all, and that’s where the album’s genius comes in. 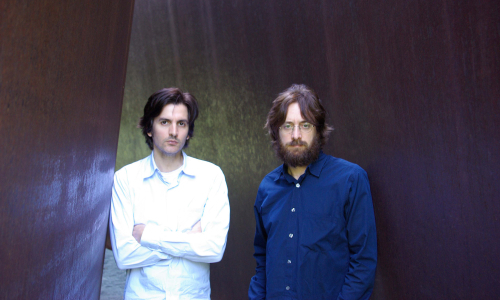 And there’s certainly genius in The New Year—the band is Matt and Bubba Kadane, previously known as the two brainchildren behind 90s powerhouse Bedhead. Their historic background can be heard in The New Year. There are several plays on contrast—the album is intricate yet minimal. And it’s intelligently quiet and cleverly sophisticated. On second thought, maybe bedroom pop is a proper classification after all. Sure, there are some louder moments, but the majority is soft and tinted with sad pop progressions. One of the exceptions is closing track “The Idea Of You”, which has a powerful electric guitar chorus amidst a softer, mellower verse. Overall, there are several prominent tracks to be found on The New Year (in truth, most the album can be deemed prominent), but few are more notable than those first two. And that’s more than fine with me.